Kate Margalit completed her Doctorate in Veterinary Medicine at Cornell University. She remained in New York to complete her general internship at Long Island Veterinary Specialists. 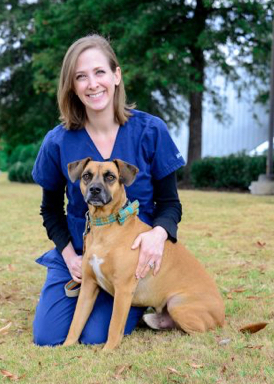 She hopped across the country for her surgical internship at Veterinary Specialty Hospital of San Diego then completed her surgical residency at Red Bank Veterinary Hospital in New Jersey. She enjoys doing a variety of surgeries in both soft tissue and orthopedics, but has a special interest in minimally invasive procedures (arthroscopy, laparoscopy, and thoracoscopy). In her free time, she loves spending quality time with her husband, baby boys, and dog. She is always engaged in multiple artistic projects and has a specific love of interior design.